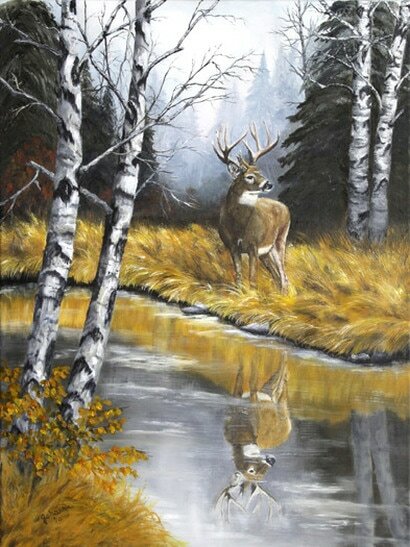 Giclee fine art paper and canvas print from my original oil painting of a Whitetail buck standing by the stream with his reflection in the water. Autumn is a beautiful time of the year with golden colors of leaves and grass which is a perfect setting for a Whitetail Buck. If you do not see a size you are looking for or for more information, contact me!